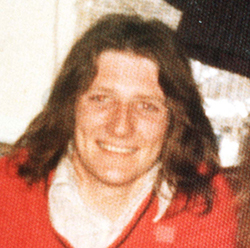 As well as being the leader of the blanket men and of the second hunger strike, Bobby Sands was also the most prolific writer among the H-Block prisoners. He not only wrote press statements, but he also wrote short stories and poems under the pen name “Marcella”, his sister’s name, which were published in Republican News and then in the newly merged An Phoblacht/Republican News after February 1979. Bobby’s writings span the last four years of his life in H-Block 3, 4, 5, or 6. They were written on pieces of government issue toilet roll or on the rice paper of contraband cigarette roll-ups with the refill of a biro pen which he kept hidden inside his body. 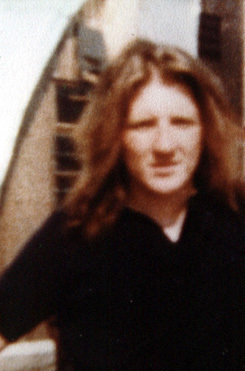 He also wrote as “a young West Belfast republican” and as PRO of the blanket men in the H-Blocks 3, 4, and 6. This collection contains creative pieces – writing of an extremely high standard – as Bobby describes penal life in a compelling and graphic manner. When one recalls that all of his writing was accomplished in almost impossible conditions, one cannot but admire his achievement, an example of the ingenuity and determination of the republican prisoners about whom he writes. There is a premonition of personal tragedy running through his writings: that his H-Block cell will, literally, become a tomb. His admiration for his comrades and his feelings for supporters and for oppressed people outside of prison emerge in the words which he expertly uses as a weapon against a regime which tries vainly to break and dehumanise him. Bobby’s diary is a unique piece of literature, his last written words. During his formative years Bobby, as he says himself, was “a budding ornithologist.” As one well-known H-Block ballad goes, “…A happy boy through green fields ran/And kept God’s and man’s laws.” He also read and was influenced by the nationalist poet Ethna Carrberry (Anna McManus) who coincidentally also grew up in Belfast. So Bobby put many of his own thoughts into verse. My favourite is “The Rhythm of Time” but his H-Block Trilogy must surely rank with Wilde’s The Ballad of Reading Gaol and has recently and very brilliantly been staged as a drama by H-Block prisoners.Two of bobby’s songs, “Back Home in Derry” and “McIlhattan” were also recorded by Christy Moore. In his own poetry Bobby asserts that the spirit of freedom and injustice has been innate to humankind from the beginning. In tracing this spirit he demonstrates an exceptional grasp of history and memory recall. (He was denied books, newspapers, radio or TV, and mental stimulation for the last four years of his life.) Wat the Tyler, for example, was an English peasant who in 1381 challenged and led an uprising against the English monarchy. The persecuted early Christians, slaves, peasants, native American Indians and Irish republican freedom fighters share the stage of history against tyranny. And the driving force against oppression, as Bobby concludes, is the moral superiority of the oppressed.